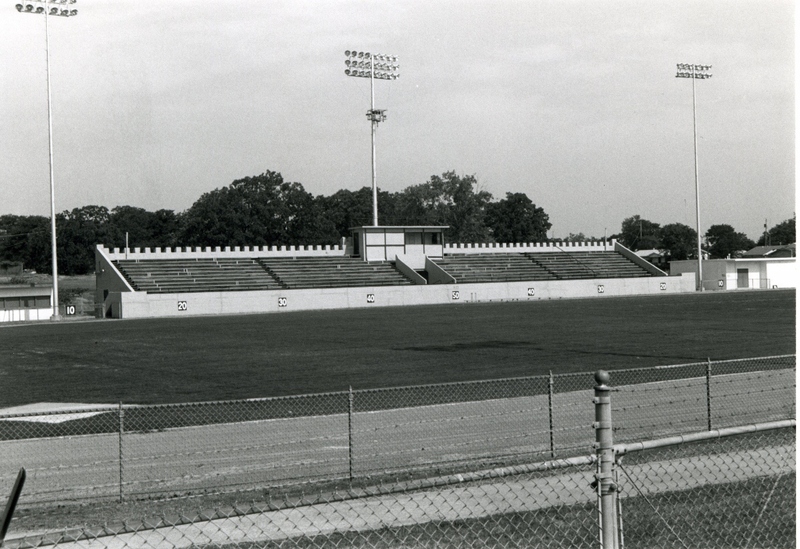 The McAlester athletic field consists of a red cinder track and a football gridiron. The stadium itself is situated on the west edge of the field. 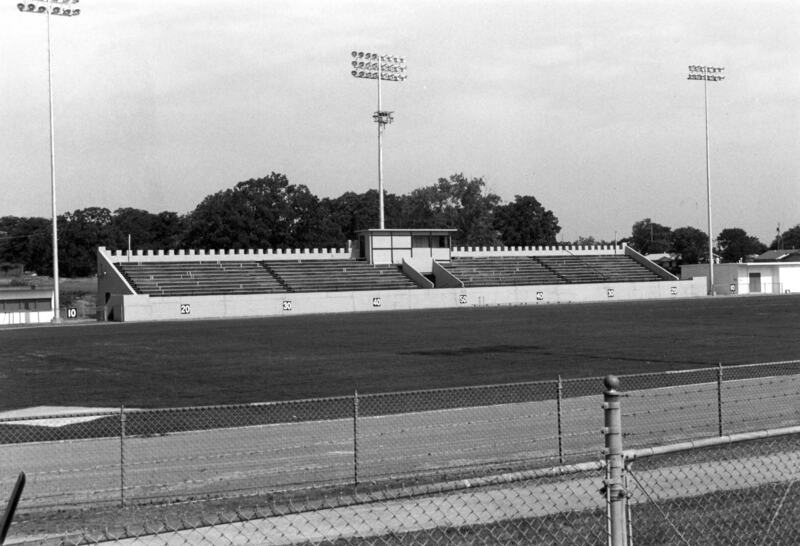 It is rectangular (200′ x 28′) and constructed of poured concrete, the stands rising some eleven tiers. Seventeen buttresses support the facade, which is also decorated with a crenellation. 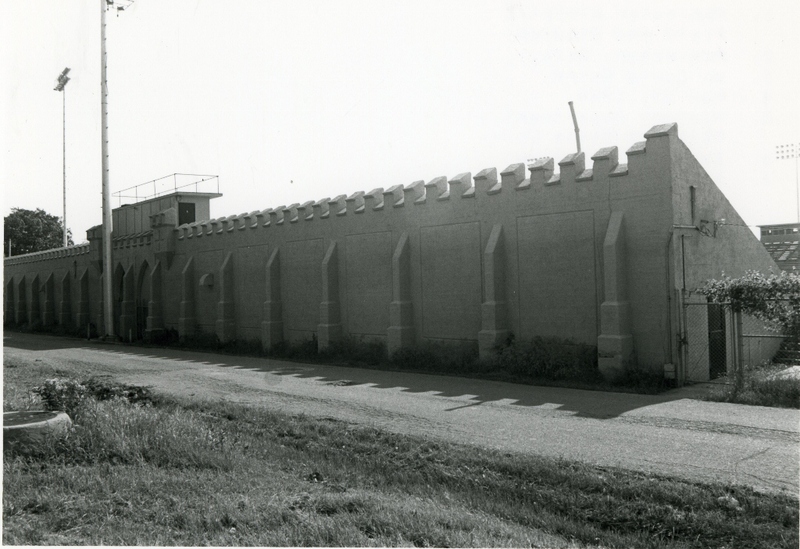 These features, along with centrally placed arched entryways, give the stadium an appearance of a medieval castle. A small pressbox atop the stands and temporary, unattached concrete block structures at either end, do not destroy the architectural integrity of the stadium. As a WPA structure, the McAlester athletic stadium is unique architecturally because of its battlements and buttresses. Although totally concrete structures do exist, there is nothing similar in design. 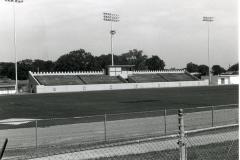 The facility also demonstrates the varied character of the WPA work program and the agency’s special definition of “useful.” For the people of McAlester the stadium fostered a measure of pride that is still apparent in athletic competition. To the community the stadium is architecturally unique in terms of style, type, scale and character of workmanship. It is also significant because of the economic impact construction of the facility had upon the residents of the community, giving jobs to those who had none and subsequently sales to merchants who needed some.